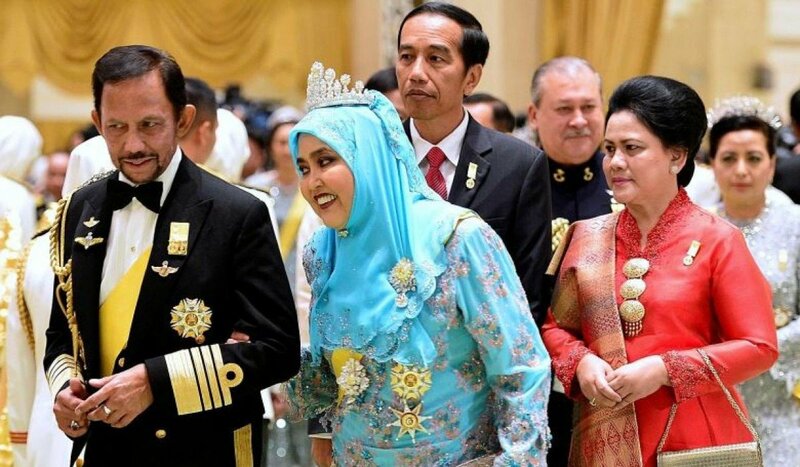 With photo opportunities like the Sultan of Brunei’s lavish birthday banquet, is it any wonder some of Southeast Asia’s royals have as many Instagram followers as subjects? Brunei’s Prince Abdul Mateen, 26, has Hollywood looks and an Instagram following bigger than his country’s population. Brunei’s Prince Abdul Mateen – 10th son of the Sultan Hassanal Bolkiah – has Hollywood movie star looks and an Instagram following (705,000 and counting) larger than his country’s population. 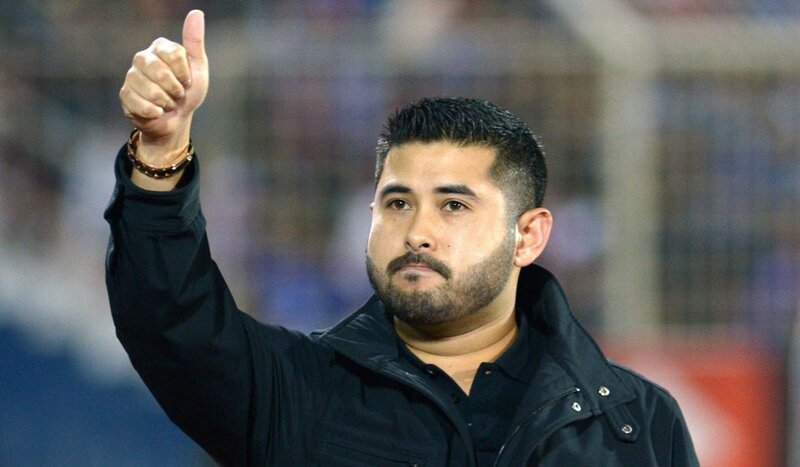 The Crown Prince of Johor, (a state in southern Malaysian) Tunku (Prince) Ismail Sultan Ibrahim – an avid polo-player who heads Malaysia’s Football Association – often talks more sense than most of his country’s politicians. After decades in retreat, Southeast Asia’s royal families are staging a dramatic comeback and nothing captures their current confidence better than last week’s extravagant celebrations for the Sultan of Brunei’s 50 years on the throne – making him the world’s longest-reigning monarch after Britain’s Queen Elizabeth II. 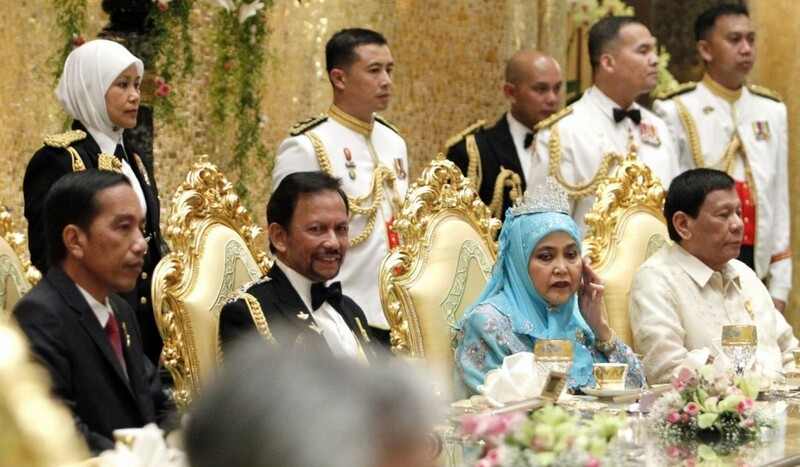 The subsequent State Banquet was attended by dignitaries from all over the globe, including a slew of Malaysian royals, Indonesia’s Joko Widodo, the Philippines’ Rodrigo Duterte and Myanmar’s State Counsellor Aung San Suu Kyi(who looked more regal than most of the blue-bloods present). But there’s more: in “republican” Indonesia, Sri Sultan Hamengku Buwono X was reappointed Governor of the Special Region of Yogyakarta. He alone among Indonesia’s thirty-four provincial heads retains power without having to undergo an election, in recognition of his forbearers’ crucial support for the Indonesian Revolution. 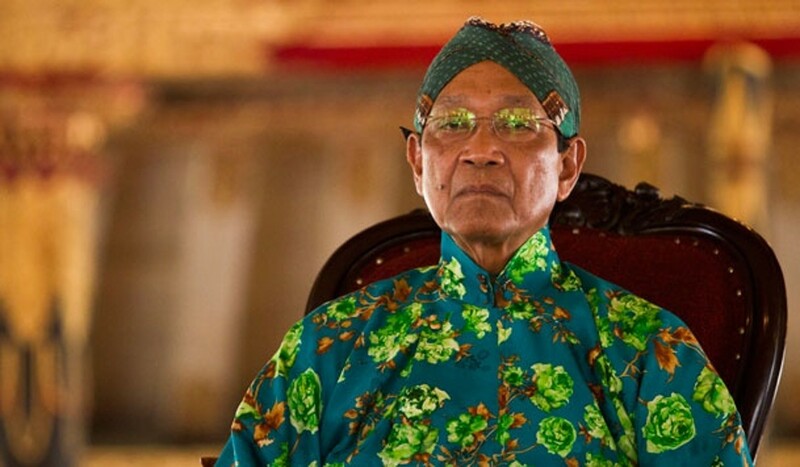 Still, the sultan remains an extremely popular figure – recognised as a key bulwark against external influences, reinforcing the city’s distinctive Javanese character. Around the same time and in a rare moment of outspokenness, the Council of Rulers of Malaysia (comprising of the country’s nine sultans) issued a statement warning against religious exclusivism. 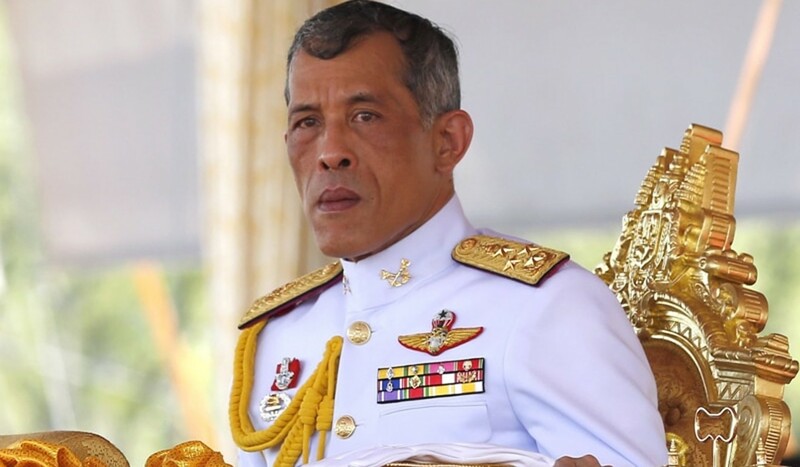 Hundreds of thousands of Thais are expected to flood Bangkok’s streets as the entire nation pauses to reflect on the man who steered his realm through seven decades of both peace as well as turmoil and the reality of his son, King Maha Vajiralongkorn Bodindradebayavarangkun (Rama X) – a less-sympathetic figure – sets in. In Brunei, Prince Abdul Mateen has graced the cover of GQ magazine. His above mentioned Instagram account regularly features posts of him piloting planes, petting tiger cubs and playing polo. For example, the Sultan of Johor, Sultan Ibrahim Ibni Almarhum Sultan Iskandar has spoken out against religious segregation. When a launderette in his state sought to impose a Muslims-only policy for customers, the sultan demanded (and got) the policy revoked, affirming his vision of a Bangsa Johor – a Johor for all Johoreans. His actions were later reinforced by the pronouncement of his brother rulers mentioned earlier. Subsequently, a preacher reportedly on the payroll of the federal religious affairs department criticised the sultan’s decision, only to be severely rebuked by netizens backing the Johor royal family. The Johor ruler said he would cut ties with the federal religious body. The cleric was arrested for several days, while the state of Selangor revoked his credentials to preach in its mosques. Such a bold move was unprecedented in the history of the majority Muslim nation. In the often messy, always changing media landscape of the 21st Century, some royal families have clearly seized the opportunity to reach out to their subjects, bolster their image and reassert their political relevance. Of course, this also exposes them to the freewheeling nature of social media, where criticisms and trolling between users are inevitable. Inevitably, social media’s democratising impulses can and do create tensions with traditional ideas of royalty being inviolate. 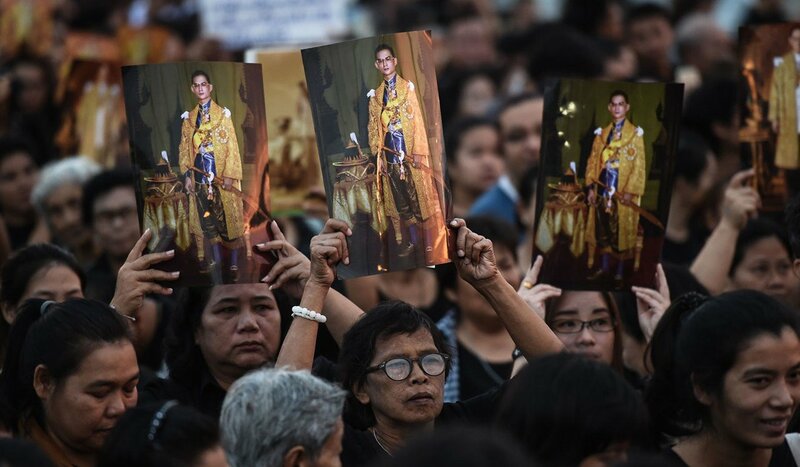 Several netizens across the region (especially in Thailand) have run afoul of antiquated lèse-majesté or sedition laws. Still, as elected governments face unprecedented attacks on their integrity and credibility, the mounting popularity (and permanence) of royals has permitted the more astute among them to position themselves as the de facto consciences of their respective countries. Social media is an extremely disruptive force. It upends the status quo. It democratises the playing field and overturns old hierarchies. Ironically, at least in Southeast Asia, it’s permitted many ancient and storied families a second stab at real political relevance; even influence. The democratically elected elite has become primordial, narrow-minded and deeply resentful of progressive causes. At the end of the day, blue-blooded or not, the institutions that are best able to serve the people are those that can evolve with the times. Next articleIs the Media Mis-representing the Crisis?